When you lock up drug addicts it does nothing to stop them from using drugs again when they are released? Unless you have put them through some sort of couseling or drug treatment program. IF you want to stop the real problems you must deal with the core of the problems ADDICTION. Then & ONLY then will the drug problems stop. I am a former drug user myself. I am sucessfully recovered from ADDICTION for the past 6 yrs now. I received DRUG TREATMENT & stopped the using and getting in trouble along with my RECOVERY. NO more jails & or problems with the law anymore. She led. So can you. Realignment is actually just shifting low-level offenders serving terms of less than four months back to the county jail system. Over a third of the county jail population was gradually shifted to prison where they occupy about 48,500 expensive prison beds. Returning them to the counties will reduce annual prison operating costs by over a billion without releasing any of them. It should have been done decades ago but no one, Democrat or Republican, wanted to rile the correctional unions. The deficit has made the politicians so disparate they are actually willing to consider making a few rational changes. It is a big deal (politically). This isn't a rational change by any stretch of the word.... Whether or not it saves the state any money, its not addressing the real problem at all. how about Brown explains what he has against marijuana? How about he stops making cannabis users pay for the crimes committed by alcohol users? And makes the state a couple of billion a year ahead of where it is now while he's at it. Legalize marijuana and release anyone on a marijuana related charge. Not only would that save money with courts and police resources. It would make room for people who actually need to be there. Also you might want to consider the tax money we could generate every year. 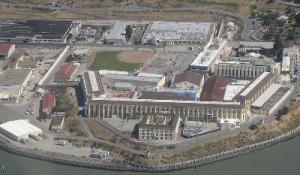 A simple question for Californians- Would you rather the State fund Prisons or Schools? 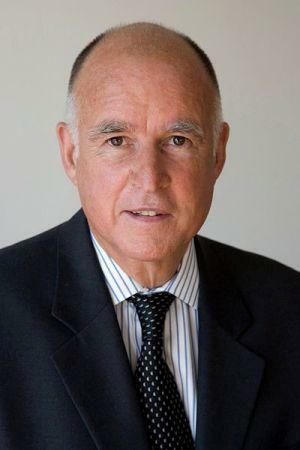 If you answer schools then you should encourage Governor Brown to pardon all non violent prisoners in the State. You should also get rid of the 3 strike rule that puts habitual offenders away for life. The Prison unions love this stupid law. How did this Country become so fear based? Fear based people using faith based logic are wagging the Government dog.